Nobel Prize-winner (together with Andre Geim) Professor and Kostya Novoselov Professor Volodya Falko from Lancaster University have released a graphene roadmap. The roadmap discusses the different possible applications for graphene and also the different ways to produce the material. The authors says that the first key application is conductors for touch-screen displays (replacing ITO), where they expect can be commercialized within 3-5 years. They also see rollable e-paper displays soon - prototypes could appear in 2015. 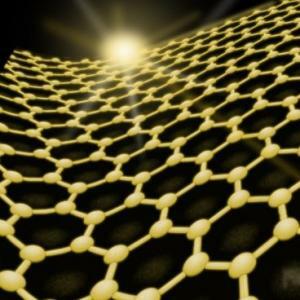 Come 2020, we can expect graphene-based devices such as photo-detectors, wireless communications and THz generators. Replacing silicon and delivering anti-cancer drugs are interesting applications too - but these will only be possible at around 2030. Liquid phase and thermal exfoliation, useful for battery or supercapacitors applications and also graphene paints and inks. Chemical Vapour Deposition (CVD) which is used in flexible and transparent electronics applications and photonics. Synthesis on Silicon Carbide which results in very high quality graphene (excellently-formed crystals) - which is good for high-frequency transistors.